I have been fortunate that for almost all of my son’s growing up and since then, I have been able to work at home. Even before books were my major endeavor (but I was always working on them), T.V. animation writers like me worked from home. There are drawbacks, of course. Lack of social interaction is the major one so if you freelance, you have to make sure to schedule face-to-face visits with colleagues and friends. But there are advantages as well. Traffic in Los Angeles is horrible and continues to get worse. 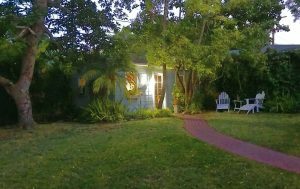 My commute is about 22 steps across my backyard to my little blue writing house. I make that walk MANY times a day! In fact, many’s the day I log 10,000 steps and I haven’t left the property. But I do walk around the yard, usually listening to audiobooks. Another plus is that it’s quiet and conducive to concentration, but I can be as distracted as the next person, if the truth be known. I can distract myself without any outside intervention. Although we have neighbors on either side and behind our house, we have total privacy. 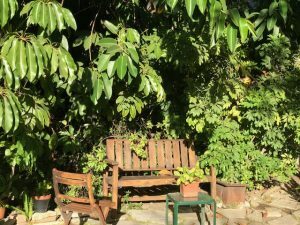 Our house is 80 + years old with lots of old growth trees and California greenery including the epically huge avocado tree outside my office. It’s like a little cottage in the woods. At night, the light by the door serves as a nightlight for the whole yard. In a word, it’s cozy. 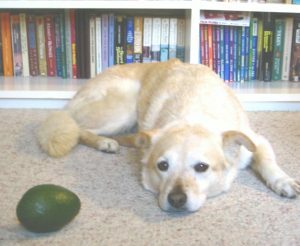 I do miss the best dog who ever lived, the irreplaceable Desiree Birney (Desi for short but often called Miss Birney), who lived a very long and happy life and loved spending as much time as possible in the yard, where among other things, she hunted squirrels as well as avocados. She was vigilant about squirrels, seeming to believe they were our worst enemies that – without her – would take over the yard. (She was right. They have.) She never met a human she didn’t like but squirrels were her sworn enemies. First thing in the morning and last thing at night, she sniffed the entire perimeter of the yard to see if any intruders had crossed into it. She even went behind the office, which abuts the neighbor’s fence and is frankly, a place I don’t want to go. There was one particular corner of the yard that commanded so much of her attention (it is hidden) that we came to call it Where Evil Dwells. Miss Birney kept the evil at bay. This might look like a sunny and inviting spot, but behind that greenery is Where Evil Dwells. Maybe. You can’t be too careful. These days, the squirrels fascinate me and keep me well entertained during the day as I sit at my desk near the glass door. I have a great view of the tree that I call The Squirrel Superhighway. The squirrels go up and down that tree dozens of times a day and often we even make eye contact. Sometimes the males tell me off. The cute little females aren’t even afraid of me. 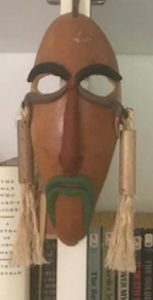 Those big males carry huge avocados in their mouths and sometimes, unfortunately drop them along the way. Once an avocado is dropped, they don’t pick it up again. 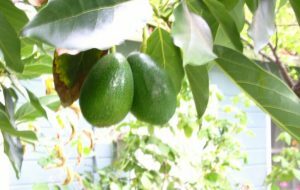 In fact with most avocados, they take a few bites and leave the rest on the ground. Like today, for instance. What a waste of some potential guacamole! In fact, it’s the pits! That tree outside my office is amazing! It’s green most of the year, but turns red in the winter – I’m just starting to see a few red leaves. Soon it will look like the picture at the top of this post, which doesn’t LOOK like Southern California but we do get some fall color … in the winter. While there are still a few red leaves on the branches, the tree blossoms with beautiful white flowers. Eventually all that white looks like snow on the ground. 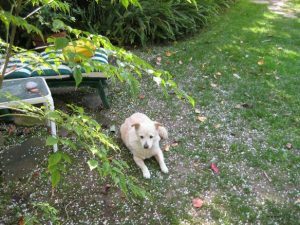 Here’s Desi in the “California snow” some years back. There were still a few colored leaves on the ground. I’ll write more about the squirrels soon. But there are other critters out there. I wake up really early and am usually walking those 22 steps at 5:00 or 5:30 am, in my pajamas. (Don’t worry – no one can see me.) Recently, in the shadows (heading toward Where Evil Dwells), I saw something small and black with a great big white stripe down his back. I tiptoed back into the house. I came even closer to one once when I went out early to get the paper. I retreated into the house VERY-VERY-VERY quietly. Desi, however, was happy to take on the skunks and we all suffered from her encounters. Once a skunk sprayed her squarely in the eyes and nose and we thought she was going to die. She was just dazed but for the first and only time in her life, she had to sleep in the garage. She didn’t argue. We tried the tomato juice routine and she turned a lovely shade of pink! The folks at our Petco store just down the street says the skunk removal stuff is one of the biggest sellers in our neighborhood. We even have a skunk season where we are awakened almost every night by the overpowering smell. Luckily, that season doesn’t last too long. But believe me, you will never see a photo of a skunk taken by me! It’s not worth the risk. In the 20+ years we have lived here, only once have I seen a raccoon. That was last year, in the still-dark early morning as well. I’m glad the family didn’t settle in the neighborhood as they are destructive AND smart, which is a bad combination. Long ago, I twice saw coyotes in the very early morning. One was lying in the driveway. One was in the front yard against the hedge. This is not normal behavior for them. But with so much building encroaching on their territory in the hills, I’m sorry for them. Where are they to go for water and food? Not that they don’t make me nervous. I won’t even talk about rats. Nope, not going to mention them. Just forget I typed the word. 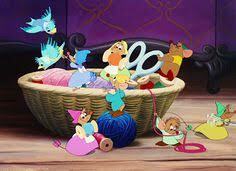 They’re gone now (the rodent rats, not the human kind). Occasionally, we’ve had opossums, too. Those slow movers are hardly a threat … but yep, Desi took them on, too. 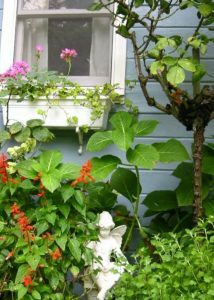 More to come about the fauna and the flora in Mrs. Birney’s neighborhood – because it’s a very busy place! Yes, it’s been a REALLY-REALLY-REALLY long time since I blogged. A few years back, I had major neck surgery that took over a year to recover from. The absolute worst, most pain-inducing thing I could do would be to sit, especially at the computer. 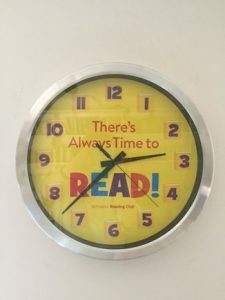 I kept the book-writing going, but I dropped the blog and other things, like school visits (local only) and travel alone, because I can’t carry much of anything and was told never to lift a bag into the overhead compartment again – yikes! Please don’t get the wrong idea. I’m active and healthy – I just have some skeletal issues. Except for the eight months of waiting for the bones to fuse, I’ve been doing Pilates twice a week and a deep tissue massage once a week at a local Wellness Center for several years, so I’m in better shape now than before this all began! But sitting – not so great. The writing continued but I stuck to writing about Humphrey and couldn’t accomplish much more than that. 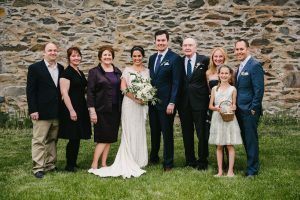 Though we did manage to have a great time at our son’s wedding 2016 with the whole family. Then on the fateful day of January 6, 2017, I completely wrecked my knee. I knew I was overdue for knee replacements, but one step onto the patio and boom- the knee was shot. However, I had personal and professional obligations to fulfill, so I had to wait until the end of May to get the replacement. At first I rolled around the house in a desk chair. Then I graduated to crutches, a cane and finally hobbling for a few months. 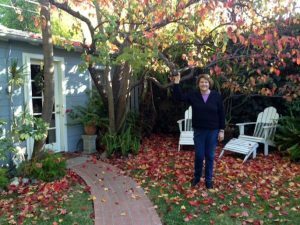 I hardly ever even made it out to my dear writing house in the backyard. I got a laptop (bad for the neck, good for the knee) and worked in the kitchen. Here is the GOOD NEWS: I had a total knee replacement and it went very well. I was always ahead of the physical therapy milestones and my surgeon called my range of motion “phenomenal.” But since they completely realigned my knee, it caused subsequent hip/low back issues which “laid me low”. I guess my mind was still working, because back when I was working in the kitchen, I had a sudden inspiration for a new kind of Humphrey book. It was a very challenging idea … but I quickly wrote some chapters and an outline, sent it to my agent and editor and got a two book deal. One of the reasons I had to wait until the end of May was to finish the book so Humphrey’s fans could get it in 2018. (There were other reasons as well.) Even though I was in the kitchen, where there’s more hubbub (phone, husband, repair people, etc. ), I got it finished. 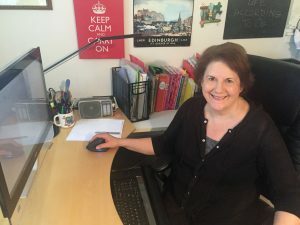 During my recovery, I was able to work with my editor on the copy-editing of this book and several new upcoming Humphrey’s Tiny Tales and eventually I went back to my office and to my sessions at the Wellness Center. Now that I’m well on my way to recovery, I have discovered a renewed interest in doing lots of things I was struggling with before: writing more, reading more books, learning new things, connecting with people. Things I couldn’t do for a long time. I will never carry a suitcase or anything heavy again and I’ll never run a race, but I feel like my old self again. 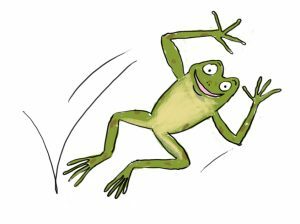 Now I head out to my writing house at 5 am (or earlier) with lots of energy, looking forward to life. As we approach the “cover reveal” of the new book, due out in July, 2018, and its subject matter (this is not exactly an According to Humphrey book,) I remembered this long silent blog and decided to start communicating with fans again. Hi, Humphrey here! 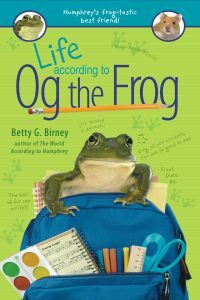 Just to say that I read this blog post and it does seem as if Betty G. Birney BELIEVES that she writes these books all by herself. Which is kind of cheeky, given that she doesn’t actually have to experience all of my sometimes scary but always hamster-iffic adventures! Just saying …. you’d better take all of this with a grain of salt, as they say. And some lovely crunchy celery would taste very nice with that salt. THANKS-THANKS-THANKS for listening! There are several ways to communicate with me. Writing a letter is not the best way – you will wait a long time for an answer. But I answer emails fairly quickly. If you want to scan a letter and attach it, you can do that on the Contact form. If you have trouble with that, let me know and I’ll tell you another way to do it. And you can come back here very soon as I get ready for the BIG reveal of the next book! Right, Humphrey? 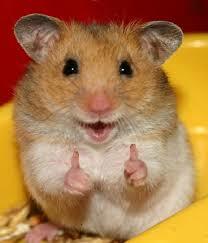 This week was so exciting, Humphrey’s whiskers were wiggling and his tail was twitching. I was pretty excited as well because of four BIG-BIG-BIG releases. 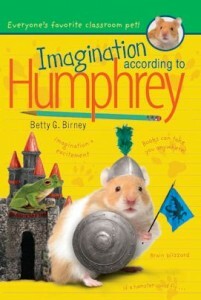 BOOK 11, Imagination According to Humphrey, was released in hardcover in the U.S. (It comes out in the UK on 5 February.) I love the cover and I’m especially excited because the book has a lot to do with using your imagination and writing. I’ve learned from many students I’ve talked to that writing can sometimes be more difficult than it sounds. 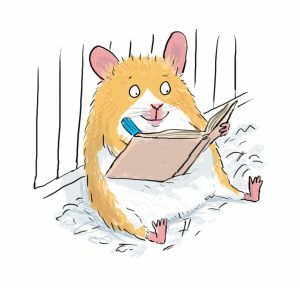 In this story, Humphrey tries to write a story and is surprised that his imagination doesn’t seem to be working. (Sometimes mine is a little sluggish, too.) Here readers can get some tips about jump-starting story ideas … and also read about real and imaginary dragons, as well as ghosts, crying babies and so much more. Humphrey solves a new sibling problem for a student, helps a lonely classroom pet in another classroom, and learns about creative writing. Working along with the students, Humphrey experiences difficulty with the process. Birney cleverly intertwines various characters and subplots. 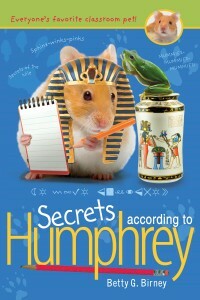 The same day Imagination came out, BOOK 10, Secrets According to Humphrey, came out in paperback. I’m always happy when the paperback versions come out so more people can read about Humphrey’s adventures. 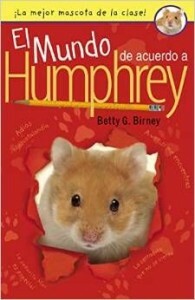 I’m thrilled that on Thursday, the Spanish translation of BOOK 1, The World According to Humphrey, was published in the US. I’ve been hoping for this for a long time and here it is! There’s been quite a gap in the audiobook releases but also on Thursday, this 4-book audio collection was released. It contains Mysteries According to Humphrey, Winter According to Humphrey, Secrets According to Humphrey and Imagination According to Humphrey. 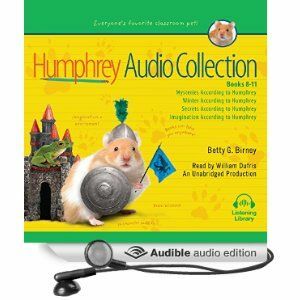 I hear from lots of families who listen to Humphrey books in the car. Now Humphrey will have to spin his wheel until May, when the third Tiny Tales book is published: Humphrey’s Creepy-Crawly–Camping Adventure! As for me, Book 12 is just about to go into editing as well as the fourth Tiny Tales book. Next week, I’m doing a Skype tour for Penguin Kids, visiting 16 classrooms from my desk. If you wish you had known about this opportunity and want to keep up with events like these, please follow Humphrey on his Facebook page. www.facebook.com/AccordingtoHumphrey. You can follow me as well. Also follow Penguin Kids – they always have great ideas for teachers and librarians.